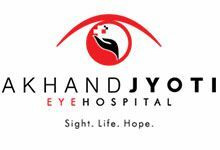 Akhand Jyoti Eye Hospital (AJEH) is a part of our Forward Linkage program where they select the girls from Class VI and upwards at PRAYOG through a competitive entrance exam. These girls are then given football coaching and free additional education at their facilities in Mastichak. The Department of Education of the Gopalganj district of Bihar is also collaborating with us to organise the Digital Education program in the Kuchaikote block of Gopalganj district. We cater to about 300 students in the two Government schools - Upgraded Middle School Badahara and Middle School Tulachapar. PRAYOG is the technical and implementation partner of the program in the two schools and PRAYOG does this free of any charge to the Department of Education. This program is will be scaled up in more Government schools in the coming days. The Department of Integrated Child Development Services (ICDS) of the Gopalganj district of Bihar is also collaborating with us in deploying the tablet program in the Sadar block of Gopalganj district which caters to 40 students. PRAYOG is the technical and implementation partner of the program in the anganwadi and PRAYOG does this free of any charge to the Department of ICDS. 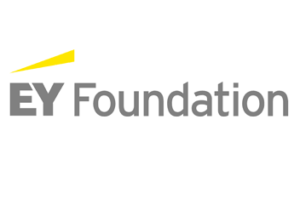 Ernst and Young Foundation have provided the Toon Masti video content for our Digital Education program free of cost for a licence period of three years. The India Fellow Social Leadership Program also partners with us in by sending their Fellows to PRAYOG amongst other NGOs across the country, where they reside on-site for a minimum period of 12 months. The Fellows are trained graduates from various universities across the country and undergo their year of fellowship at PRAYOG. The Prajnopaya Foundation Charitable Society have provided the resources and equipment to conduct the Digital Education program and the Curious Learning program, and continue to support us generously to this day.